Paddle Australia has welcomed two new members to its board of directors. Cynthia Coward (WA) and Lisa Gowthorp (QLD) were elected as new directors at the Annual General Meeting (AGM) at the start of November. Outgoing board member Ian Hume has concluded his term. Paddle Australia also welcomes two new additions to its staff team with Kate Cohen joining the organisation as Business Operations Manager this week. Matt Murphy has been appointed to the position of Athlete Wellbeing and Engagement Manager within the High Performance Team. Paddle Australia President and Chair, Andrea McQuitty, thanked outgoing board member Ian Hume for his contribution. 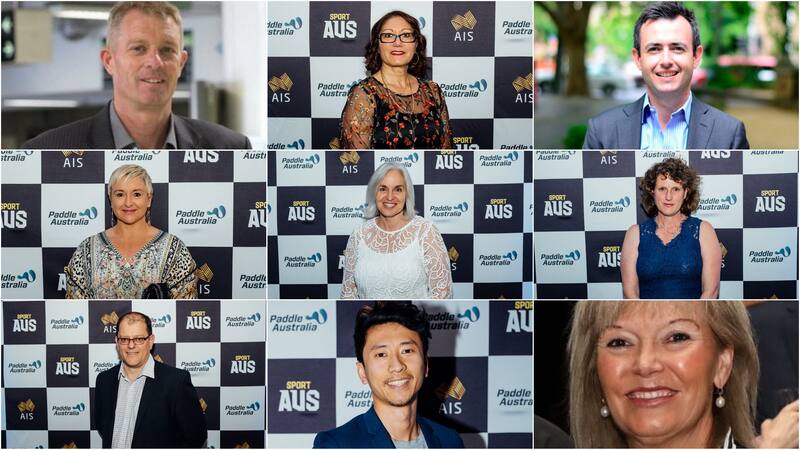 “Over the last four years, Australian Canoeing, now Paddle Australia, has undergone significant change and embarked on a new, exciting strategic journey and we are delighted to welcome our new board members to Paddle Australia to continue this journey with us. Paddle Australia Chief Executive Officer, Phil Jones, also thanked outgoing board member Ian Hume for his contribution and welcomed the new board members and staff. “Paddling in Australia is changing and growing, and this is reflected in our recent appointments to both the board and our team. We are going through a very busy time at Paddle Australia with less than two years to go to the Tokyo 2020 Olympic and Paralympic Games and with exciting plans, developed in conjunction with our member state associations, to improve the services we provide, particularly to recreational paddlers. Dr Lisa Gowthorp is an Assistant Professor of Sport Management at Bond University on the Gold Coast. Prior to her commencement at Bond in 2013, Lisa worked in high performance sport for over 12 years, with organisations such as the NSW Institute of Sport, The Australian Institute of Sport and Australian Canoeing and across sports such as Swimming, Gymnastics and Sprint Kayak. Lisa has managed sport teams at the World Championships and was the gymnastics section manager on the Australian Olympic Team in Beijing in 2008. Lisa’s research interests include the governance and management of the Australian high performance sport system, especially government involvement in sport; sport governance and regulation, sport development, and high performance sport management issues, e.g. concussion management, gender and anti-doping. Lisa consults with industry on governance issues and sport policy. 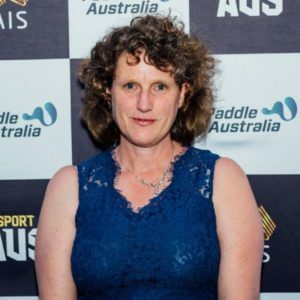 Cynthia has served in a range of roles within paddling in Western Australia, including as a technical committee member, race director, team manager and more recently President of Paddle WA. She has been a lifelong participant in recreational paddling across several disciplines. Kate Cohen has joined Paddle Australia this week in the role of Business Operations Manager. 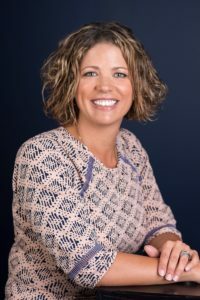 Kate comes to Paddle Australia following her previous role as General Manager Customer Experience at Relationships Australia. Her appointment as Paddle Australia’s Business Operations Manager sees her go full circle back to her roots in sport and when she started her professional career as a high school PE teacher in Sydney’s Western suburbs. Kate brings to the role her passion for sport and active lifestyles along with over 20 years’ experience in Government, Commercial and Not-For-Profit management roles with a broad range of focus areas from Operations Management to Business System Integration, Analytics, eCommerce and Customer Experience. 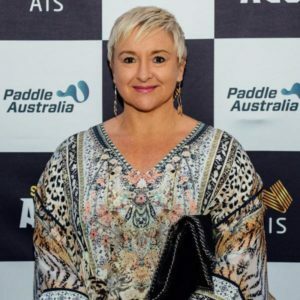 She looks forward to applying her skills to the opportunities and challenges that sports administration provides and enters Paddle Australia at an exciting time as it launches its new strategic plan for Paddling in Australia. With a focus on creating a connected paddling community underpinned by engagement, a strong digital network and clear pathways from recreation to competitive and elite levels of the sport, Kate will work collaboratively with Paddle Australia staff, state bodies and club representatives to deliver against the strategic plan. Matt is a highly experienced professional in the area of Athlete Welfare and Education. He recently relocated to Australia from the UK and is currently living on the Gold Coast. His most recent experience was as Sporting Excellence Advisor with Manchester City Football Club, prior to that he spent ten years as Head of Education and Welfare at Hull Professional Football Club. Matt will start the new role on December 3rd 2018. He will be based on the Gold Coast and will travel frequently to Penrith to visit Paddle Australia’s Slalom program as this role will work across the Sprint, Paracanoe and Slalom programs. 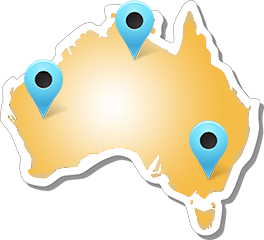 This position is funded directly through the Australian Institute of Sport (AIS) and is an area of increased focus and attention both within the AIS and the general sporting landscape. 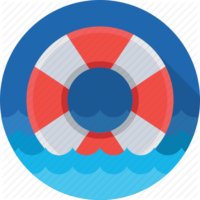 Matt’s initial task will be to get to know the coaches, staff and athletes needs so as a targeted wellbeing and engagement plan can be established and integrated into the performance environments of Slalom, Sprint and Paracanoe.